"dr Arevalo has been my Endocrinologist for more than 20 years, I will not change him. Hope he does not retire any time soon"
"I was not sure if I'd remain a patient with Dr Chopra departure. this visit changed mind and I am happy and encouraged by care given and will definitely remain a patient. 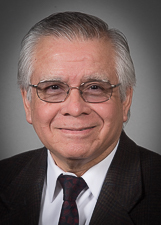 very satisfied"
"Dr. Arevalo is one of few care providers who spends time with his patients. Well satisfied with his service." "It was very good, I would recommend, they are excellent. #7. Perfect. " "He was courteous and very helpful. I also had blood taken out for my AIC. I also had my blood pressure taken and blood from my finger." "Excellent doctor & staff. " "My doctor, Dr. Arevalo is an excellent professional. I recommending him because he cares about patients"
"Dr. Carlos Arevalo, is my dr. from more than 10 or 12 years thank you..."
"Of course I have confidence in Dr. C. Arevalo. He has been my doctor for more than 15 years, all my friends go to see him on my recommendation even though he doesn't need it, it's worth it for him. " "I've been a patient of Dr.Angelo for thirty plus years. He has always been attentive to my concerns." "Care provider invites questions and takes time to delineate the course of patient care. Patient is never made to feel awkward when seeking a better understanding of recurring issues, or nascent problems. A friendly, courteous manner is always extended."